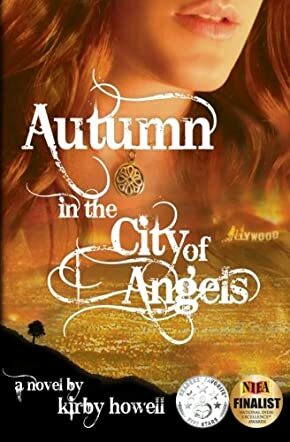 Heroism, courage and romance; just a few of the words that come to mind when I think of Autumn in the City of Angels by Kirby Howell. Autumn has to face that everyone around her is falling victim to an apocalyptic plague, leaving less than one percent of the population immune. When her family fails to arrive home, Autumn realizes she is alone; her goal - learn how to survive. Survival becomes unforgiving when The Coalition takes over the city. Autumn goes into hiding with a small group of underground survivors. After a dangerous encounter with The Coalition, Autumn feels a deep connection towards the group leader. A rather dashing young man, he harbors an otherworldly secret. Can Autumn cope with this revelation? Survival always comes with sacrifice. Autumn's story is an outstanding read. This story captures your attention from its very first pages. You feel every aspect of sorrow, hope and love. I feel it shows a brilliant author, one that can captivate you from that very first page and make you feel true emotions. The characters are solid and developed extremely well; you're able to watch them grow throughout the book. Overall, I feel this is a perfectly constructed story with lovable characters. I adored every page of this book and its wonderfully courageous characters. I'm truly excited to be going onto Book #2. I recommend this book. I feel this story is suitable for all Y/A readers and over.